Why you should try one product Shopify store? How can you find one product for your Shopify store? How to build a winning store that is optimized to sell one product only? What is above the fold look? How to get customers to your store? 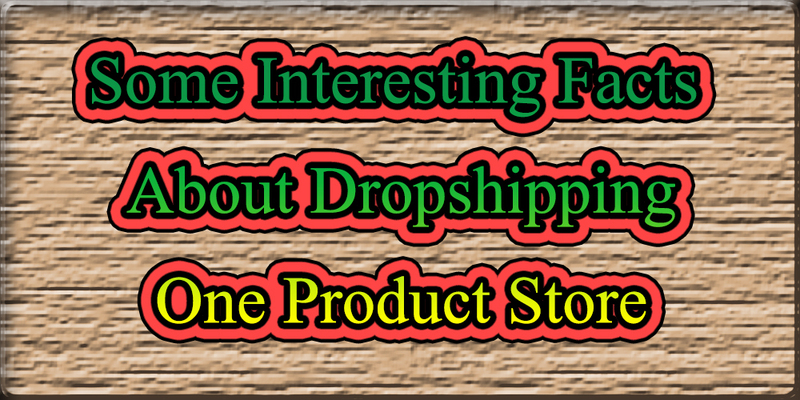 There are many Dropshippers out there who are running one product Shopify store successfully. People have misconception that one product Shopify stores don’t work but its not true. One product Shopify store is a huge success in today’s scenario. In this article we will talk about how to sell a single item with a one product store. We will talk about why you should go for one product Shopify store and how to do it successfully. There are different types of entrepreneur in the current times. Some are good at running a simple general store while some are good at running streamlined straightforward outfit. If you are good at running a simple general store while some are good at running streamlined straightforward outfit then one product Shopify store is for you. In order to be successful in this business you only need one idea. When you are running a store with multiple products it gets hard to manage the marketing of multiple products. It takes more time and energy. But when you are running one product Shopify store you can diverse all your attention and energy on one product. You can use all your resources in selling one product. Its not that doing one product Shopify business is bed of roses. There are a lot of challenges in it too but you can utilise all your energy in overcoming those challenges. The biggest challenge is finding that one product for your store which you will sell on your Shopify store. You need to keep 5 things in mind when you are looking for the product for your Shopify store. The product that you choose for your store should not be easily available on other web-based stores. You should choose a product for which its hard for your audience to guess the price of that product. Your product should be enticing or attractive enough to get clicks from shoppers. You must find a product which can grab the attention of your audience as quickly as possible. You should choose a product which doesn’t require any prior research before sale. Your audience should not need to do any research before buying it. You should sell an inexpensive product when it comes to one product Shopify store. Your product should cost $5 or less and not more than that. And the $5 should also include shipping. If you use this criterion for finding product for your Shopify store and search Oberlo marketplace for a product you can find many interesting items to consider. For example, a solar powered cranium-cooling hat. A product like this fit into all the above qualifications for one product Shopify store. This cap also has got many sales so it’s a good example. The plus point of this kind of product is that they are eye catching, and novel and they are an amazing product to advertise in a video. In this way you can find a product for your one product Shopify store. There are a few themes in Shopify which are ideal for this business. Start-up theme is one of the best themes in this regard. It is very suitable for one product stores or stores with small inventories. This theme follows rules of one product marketing and provides merchants with a powerful space above the fold for their product to engage the user immediately. It refers to what is visible on the user screen. Anything that is below the fold is seen when the user scrolls down the website. The look on the fold is one of the important aspects of marketing when it comes to one product Dropshipping store. It constitutes a large image of your product. This is one of the ways in which you can build your brand, highlight your promotion and bring your flagship product to market. The hero image on the fold of your website also allows your customers to buy the product directly from the image itself. The image entices customers without any distraction. They can directly click on the image, fill their cart with the product and checkout. Customers don’t even need to browse for other products as it’s a one product store. One of the most important questions that anyone can ask is how to bring audience to your store to buy your product for example a solar hat? Well, this is a very important thing to ask. In order to this you need to be very smart with the social media. You have to optimize your Shopify store in a way that it could leverage the efficiency of Facebook as much as it can. You can do this by connecting your store to a Facebook pixel. Then you can run ads to drive audience to your Facebook store. Facebook optimizes your ad in a way that it could drive enough traffic to your site. After generating audience traffic on your site, the Facebook Pixel monitors what visitors do once they visit the store. The Facebook Pixel basically helps you in the optimization of your ad strategies. The Facebook Pixel records which can be used to divide your audience into groups. You can further target those groups with hyper-targeted ads. The Facebook is one of the effective ways to know which kind of audience is likely to buy your product from your store. The Facebook Pixel runs in an operational way. First you run ads, then you collect data and then you run better ads. In this way you can traffic and sales in no time. There is another way in which Facebook ads can work for you. Once, you collect Facebook Pixel data on one hundred people from a single country, you get access to the purchase lookalike audience feature on Facebook ads. It is an efficient way to reach to an audience which is similar to your earlier audience. Through Lookalike audience feature you can target a new market or you can simply find a new audience in you already existing market. The Lookalike audience is also based on the Facebook Pixel. It is advisable that you create your Lookalike audience on the basis of the number of purchases that you get instead of the number of visitors on your site. This can be the best way to use Lookalike audience. Facebook brings traffic on the basis of the customers that buy your products. It has been reported that around ninety percent of the time, lookalike audiences average a higher click-through rate than other audiences on Facebook. If you are wondering what kind of ads work on Facebook then we have an answer for you. The answer for this is the video ads. Video ads are very popular medium to advertise your products on Facebook. Facebook users spend 100 million hours a day watching videos and the clickthrough rate for video is as high as 57 percent. The more eye-catching ads you make on Facebook videos the more impulse sales you will get. If your product is not eye catching enough you can make a functional video of your product. When people are choosing what to buy videos help them in many ways to decide what to buy. Many people buy products after seeing an explanatory video about the product before check out. So, this is one of the effective mediums to try when it comes to one product Shopify store. You don’t have to utilise your resources in making multiple videos for multiple products instead you can just go for utilise all your resources in advertising of one product. In case your product is not suitable for video ads or you don’t have equipment for filming video ads then you can always use catchy pictures for ads.